We have always made the local church a priority for our family. 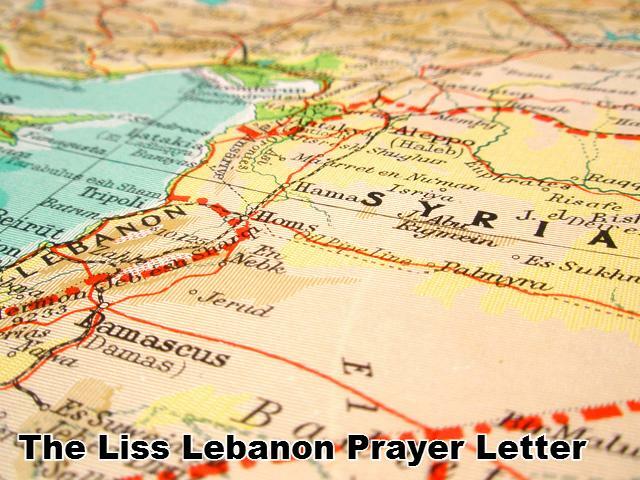 Here in Lebanon it is entirely legal to be a Christian, to evangelize, and attending church is merely a matter of hearing from God about which church to attend because there are a wide variety of churches very easy to get to in almost every part of Lebanon. The next three years we are committing to being even more involved in our church, which is renting space in an orphanage. There are opportunities with the many Syrians in the area, and we have a second service for discipleship now after church in order to disciple some of the Muslims who have converted to Christianity. In addition, we are planning to buy a car so that we can help transport some of these people to church and to events because our church is at the top of a hill, and it is extremely challenging to walk there. Finally, we are hoping to repeat the ministry with youth that we had over the past three years by working in the new center our church has purchased and is currently renovating. Many prayers are needed for God’s voice to be clear through the multitude of opportunities so that we can invest where God is leading us to invest. Over the summer Louis will be transporting Horizons staff members to our church each Sunday to help with the Syrian discipleship program while many of the people normally working there will be traveling. God, You told Peter on him you would build your church. We want to continue to be a part of that building process. The church is under construction around the world, and we are called to be a part of the greater world church community. Please work in our hearts and minds to show us where we can give of our own skills and assets in our local and worldwide church. Amen.